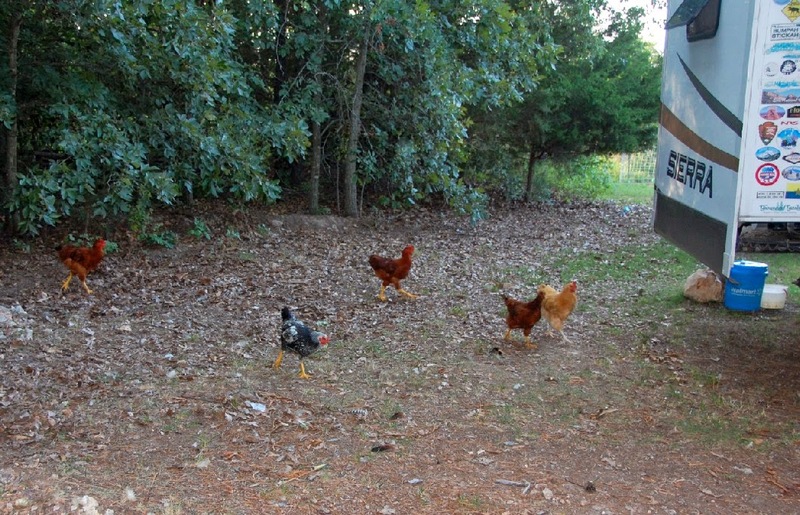 Every day, these five chickens go through the woods to our neighbor's land. We stopped to apologize one day for their wandering ways, and they actually thanked us because they were keeping the bugs away. They put out water and give them treats! They've even named them (which is nice since we call them "the insignificants" except for the blond sister)! Then around dusk, they walk back home and go to bed in the coop. Serious free rangers.